with comfort, ease and grace. How long did you stick with your New Year’s resolution in 2015? And in 2014? Polls indicate that if you only made it to the end of January you were in good company. 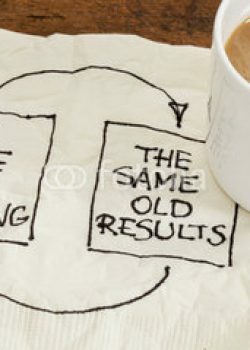 Almost 80% of people who make a New Year’s resolution fail to achieve it. According to Kegan and Lahey, the main reason so many of us fail is because we focus on changing behaviour, when we should work on changing our mindset. I like their analogy of wanting IT to do something different: sometimes we can make that happen by adding on new hardware or downloading an app; other times we won’t be able to use the new hardware or app unless we get a whole new operating system. The following steps to achieve lasting change are based on Kegan and Lahey’s Immunity to Change framework. 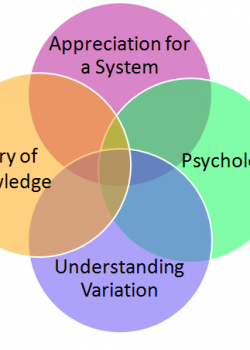 To make real, lasting improvements in anything we do, it’s not enough to be an expert in our field of activity, we also need to understand and apply the System of Profound Knowledge. W Edwards Deming initially developed this framework in relation to management of organisations, whether they deliver products or services, in private, public or third sector. As an Improvement Advisor, I learn every day of the impact that an understanding of Profound Knowledge can have on improving health and social care, and other public services. So why talk about it here? It can be applied to any area of our lives. To the daily school run; to losing weight and maintaining weightloss; to managing the household budget; to the kids’ bedtime; and yes, to swimming. As a teenager in the 1970s I swam for Norwich Penguins and Norfolk in freestyle and butterfly events. I wasn’t a natural swimmer, or ever one of the best, but I was fortunate to have as one of my coaches Jane Asher, in the years before she became a Masters sensation. 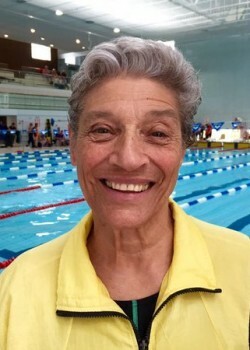 Her approach was different from the other coaches: she communicated her passion for swimming and wanted us to share her sense of joy and wellbeing in the water.